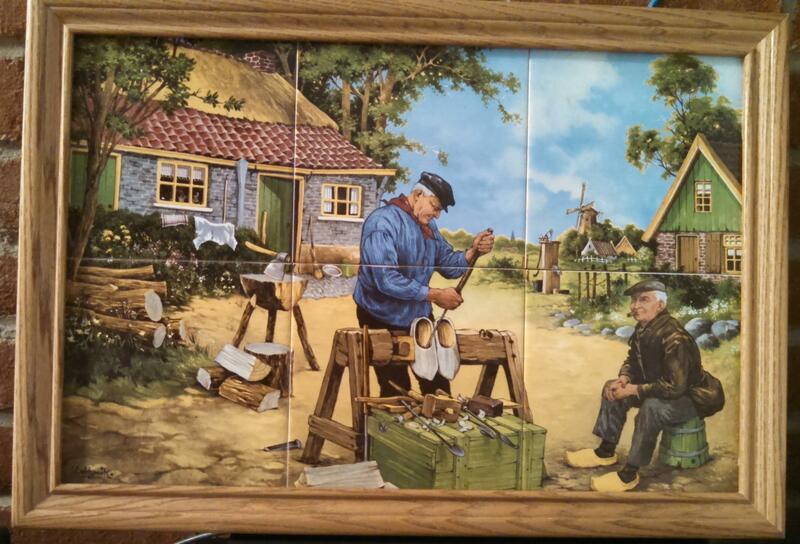 Klompenmaker - Wooden Shoe Maker - Framed Tile Set - Tiles Tableau - The Dutch Shop LLC your store for Dutch groceries. 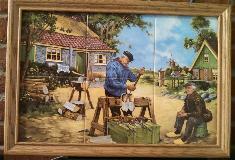 Klompenmaker - Wooden Shoe Maker - Framed Six Tile Set. 19 1/2 inches x 13 1/2 Inches.